People near by Garia, Ruby, Kasba & E.M. Bypass has now the facility to practice and to learn outdoor & indoor games in their own area. Yes, the project of Kasba Stadium of Kolkata, which was started in March 2009, has finally completed in 2011. 57.5 meter long Kasba Stadium Kolkata (Gitanjali Sporting Complex) has been developed by KMDA & Public Private Partnership (PPP) and nearly 25-Crore spent to create the world-class multi sporting play ground at Kasba, which is known as Gitanjali Sporting Complex (Stadium) Kolkata. 1. Total seating capacity (audience capacity) of Gitanjali Sports Complex Kolkata Stadium is around 4000. 2. Separate space for Indoor Games, Gymnasium, Player’s changing rooms and other essential facilities available at Gitanjali Stadium Kolkata. 3. Player’s Canteen, Audience Canteen & Car parking area is there for both players and audiences at Kolkata’s new Sporting complex Gitanjali. 4. Latest equipped Fire protection & accidental case protection system is there at Gitanjali Sporting Complex (Stadium) Kolkata. 5. Underground water removing system developed at Kolkata’s newest Sporting Stadium Gitanjali Kolkata. 6. Gitanjali Sporting Complex, Kolkata will be used for sports like Cricket, Football (Soccer) & other outdoor games. Gitanjali Stadium Kasba Kolkata Address Location Landmark: Near E.M. Bypass, Rajdanga, Kasba, Kolkata-107. Chief Minister of West Bengal, Ms. Mamata Banerjee has inaugurated the newest Sporting Complex of Kolkata located at Kasba named ‘Gitanjali Stadium’ (also known as Kasba Stadium) on 9th August 2011 at 6pm in the presence of Shri Madan Mitra (Sports Minister of Bengal), Shri Shovan Chattopadhyay (Kolkata Mayor), Shri Firhad Hakim, Javed Ahmed Khan, Sushanta Kr Ghosh and others. Are you looking for world-class Chess Academy in Kolkata? Do you want to know the name, address, contact phone numbers and Chess Coach names of the best Chess Coaching Academy of Kolkata (West Bengal)? Calcutta Chess Academy, Shyambazar Kolkata is the most reliable Chess Learning Institution in Kolkata. This Chess Coaching Centre is located in North Kolkata and could be reached easily from any point of Kolkata by Bus, Metro etc. C/O The Park Institution, 12 Mohanlal Street, P.O. Shyambazar, Kolkata - 700004, [Landmark: Deshbandhu Park]. Contact Phone Number of Calcutta Chess Academy Shyambazar: 9903818414 / 033 2441-4390. Information shared by: Shyamol Dutta - If you want to share any type of information to the world, then Post now. Taekwando, Cycling and Triathlon are the popular sports world-wide, though the importance of these sports is not much in India and Bengal, still the Bengal Sports Association provides the opportunity to the aspiring boys and girls to learn Cycling in Kolkata and other sports coaching centres in Kolkata. Healthy Body not only keeps you out of disease, Healthy body generates enthusiasm, skin care glow and energy of work along side most important part of body that is fitness. In recent days, people are more health conscious than that of older ages. Nowadays, men or women, male or female, guy or girl every body wants to go to Gym or Yoga Centres to keep their figure slim and fit. There are many Gyms in Kolkata, Yoga Centres in Kolkata and also Body Building associations in Kolkata. All are good on their own prospective. Those who wants to make career in Heavyweight Body Building and wants to know the Weight Lifting Coaching Centres in Kolkata, they can find the address and phone number of best Armature Body Building & Weight Lifting Coaching Clubs in Kolkata below. Bengal Sports in getting developed in every aspect One can get any sort of assistance in every types of Sports in Kolkata, Bengal. Here is the list of Kabaddi Coaching Clubs in Kolkata, Fencing Training Centres in Kolkata and detail address with phone contact number of Kho Kho Learning Clubs in Kolkata, Bengal. Recently Bengali Girl Amrita Das has crossed English Channel and once again Bengal's pride enriched in Swimming. Swimming needs lots of energy and extremely skilled technique. If you are looking for good Swimming Pools in Kolkata or want to know the Swimming Clubs in Kolkata, Bengal then here is the list of all well-known Swimming Coaching Clubs in Kolkata, Bengal with the address and phone contact numbers. So, get ready to become Bengal’s famous Swimmer. Are you looking for Golf Clubs in Kolkata? Do you want to know the names of all Golf Coaching Centres in Kolkata, Bengal? Here is the list of all Golf Training Academies in Kolkata, Bengal from where you can become a good Golfer in future. All these Bowling Clubs in Kolkata are for both male (Men) and female (Women). Note: All these Table Tennis Clubs provides Coaching Classes to male and Female (Women) as well. So, these all are for both Male & Female (Women) Table Tennis Coaching Clubs Academies in Kolkata, Bengal. There are many Sports Clubs & Associations in Kolkata, Bengal provides Lawn Tennis Coaching in Kolkata and in West Bengal. The Lawn Tennis Clubs in Kolkata requires good space, healthy court and expert guidance. The futures of Lawn Tennis players are very bright, as there is many Lawn Tennis Tournaments played in the world through out the world. Most of the Lawn Tennis Coaching Academies in Kolkata are located in South Kolkata like Tollygunje, Park Circus, Golf green area etc and there are only few Lawn Tennis Clubs in North Kolkata region. Hopefully in near future we can see more world class Lawn Tennis Coaching Camps in Barasat, Barrackpur Sodepur, Habra, Howrah regions of West Bengal. India's Badminton Players are doing a great job nowadays. There are many players from Kolkata, Bengal who are doing well and performing extremely well in World Badminton Stage. If you want to learn how to play Badminton and want to know the Badminton Coaching Centres in Kolkata, Bengal, then check out the below mentioned Badminton Training Centres of Kolkata, Bengal. All these Kolkata Clubs provides the best Badminton Training & Coaching in Kolkata. Do you have passion in playing Chess? Do you want to make career in Brain Game Chess? Are you looking for Chess Training Centres in Kolkata? Are you looking for the best Chess Coaching Centres Camps in Kolkata? Here is the list of Chess Coaching Academy in Kolkata, West Bengal - Find out your nearest one and enrol yourself in the Chess Academy of Kolkata and become Chess Master of India. Gorky Sadan, Gorky Terrace, Room No.3, Kolkata-20. 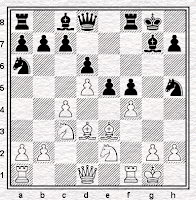 Phone number of Gorky Sadan Chess Club, Kolkata - 033-2280-3858/3957. 2/1C, Nilambar Mukherjee Lane, Kolkata-5. Phone number of Kolkata Chess Academy - 03325541490. P-23, Garia Station Road, Amrapali Abasan, Kolkata-84. Phone number of Calcutta Chess Club, Kolkata - 033-2462-5534. Phone number of West Bengal Chess Association - 033-2248-7968, 033-2473-9286, 033-2334-4599 [Fax - 033-2359-7973 ]. Apart from these Chess Academies in Kolkata & Bengal, there are few more Chess Academies and most famous of them is Dibyendu Barua Chess Academy, Kolkata. Hockey is one of the famous sports in India and how we could forget that India became familiar in the world sport by the hand of Hockey only. Indian Hockey Team is till now the threat for all other Hockey playing nations in the world. So, if you are looking for Hockey Training Coaching Centres in Kolkata or in West Bengal, then contact below mentioned Hockey Coaching Camps in Kolkata, Bengal as soon as possible. CESC Sports Club in Kolkata also provides Hockey Training in Kolkata and you may contact the CESC Sports Club of Kolkata for further details to learn hockey in Kolkata. Calcutta Press Club (Kolkata Press Club) located at Maidan Tent in Kolkata has the facility of getting trained in Hockey Sports as well.